There is a foxhunt scheduled for Saturday Oct 24,2009. WB1W is the fox. Start time is 10AM. Location of the fox will be within 10 miles of the MMRA 146.715 Mhz Burlington repeater (which is located near the Burlington Mall). The fox will be on the input frequency of the repeater which is 146.115 MHz. Tranmissions will occur every 5 minutes for 30 seconds. The hunt is planned to conclude at noon unless all hunters find the fox before that time or if hunters are still in the field. There was a good turnout for the July 18th fox hunt hosted by the MMRA and QRA. This is evidence of pent up demand; hopefully we can get a critical mass of hunters active. Pictures from this hunt are courtesy of Bruce, NI1X. 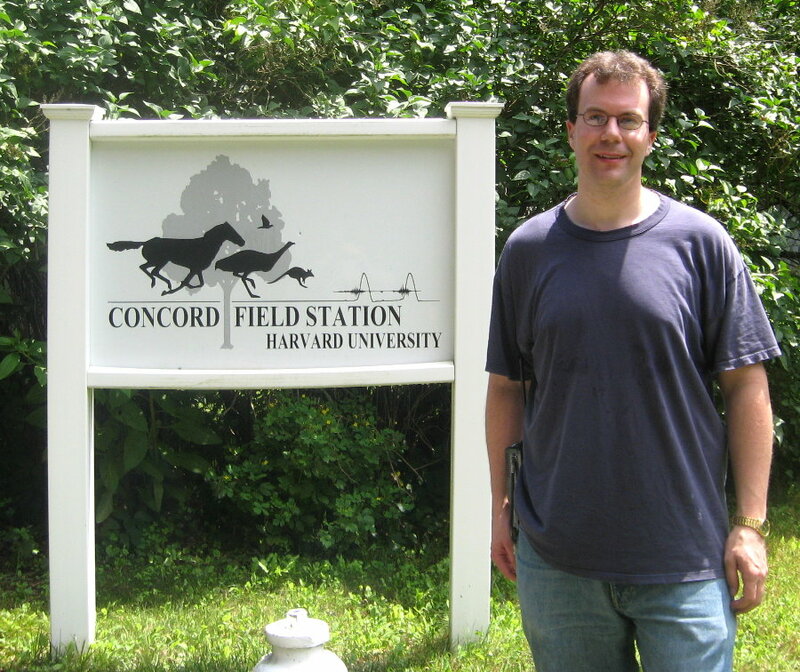 As the fox, Bob Evans, N1BE, hid at the Concord Field Station of Harvard University. 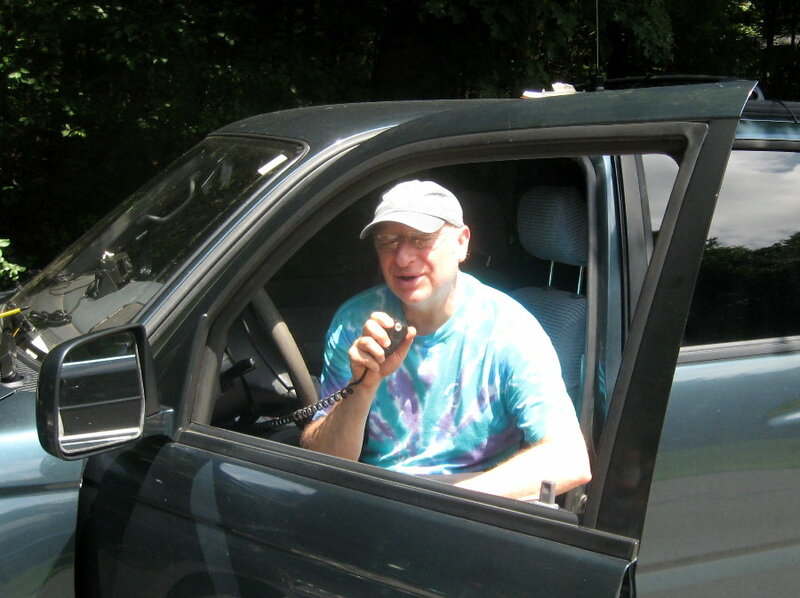 (N 42deg 30.4min, W 71deg 17.55min) Hunters were assisted by observations from home station W1DYJ. A time line of the hunt follows. 11:05 KD1KY and KB1QEF are first to find the fox. 11:20 VK3MD, VK3LSL and family find the fox. 11:49 N1OMJ and N1TBN find the fox. 11:50 N1PRW finds the fox. 12:19 NI1X finds the fox. 12:22 NZ1X finds the fox. 12:30 N1NVK and AA1VS find the fox. 12:30 Fox announces his location. ** Published rules for this hunt prohibited the fox from private property. The fox was on publically accessible private property. By traditional MMRA mobile fox hunting rules, this was an acceptable location. Rules for future hunts will clarify the acceptable fox locations. Alex, N1PRW pictured above, left before all hunters arrived. VK3MD and VK3LSL left even earlier, before the photographer arrived. This group photo was taken just before we all abandoned the fox hiding location. Not every hunter had time to remain, however there were 14 who stayed for lunch.